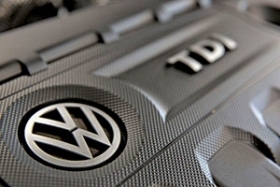 Illinois filed a lawsuit against Volkswagen Group or tampering with emissions controls in Volkswagen and Audi diesel vehicles, becoming the 19th U.S. state to take legal action against the German automaker. The complaint, filed in Cook County Circuit Court by Attorney General Lisa Madigan on Monday, charges the company's American unit and seeks civil penalties for violations of state environmental laws. VW admitted last year to cheating U.S. vehicles emissions tests using sophisticated software. About 29,800 cars sold in Illinois were affected, Madigan said. VW spokeswoman Jeannine Ginivan said the company would review the complaint. Ginivan said Volkswagen has already agreed to buy back or modify affected 2.0-liter TDI vehicles, establish a $2.7 billion environmental remediation trust, which will benefit all states including Illinois, and invest $2 billion for infrastructure and awareness to increase the use of zero emission vehicles across the United States.